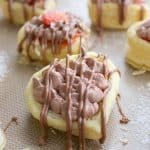 These Black Forest Pastry Cups are an elegant dessert that takes just a matter of minutes to bake up! Perfect for when you need something quick to serve! 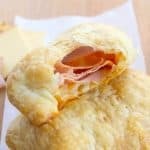 Click here to save this recipe on Pinterest! I know we are in the middle of apple and pumpkin season but I need a little chocolate in my life! Don’t get me wrong I love both of those flavors but I hadn’t indulged in any chocolate desserts for awhile so I decided to share with you these Black Forest Pastry Cups! 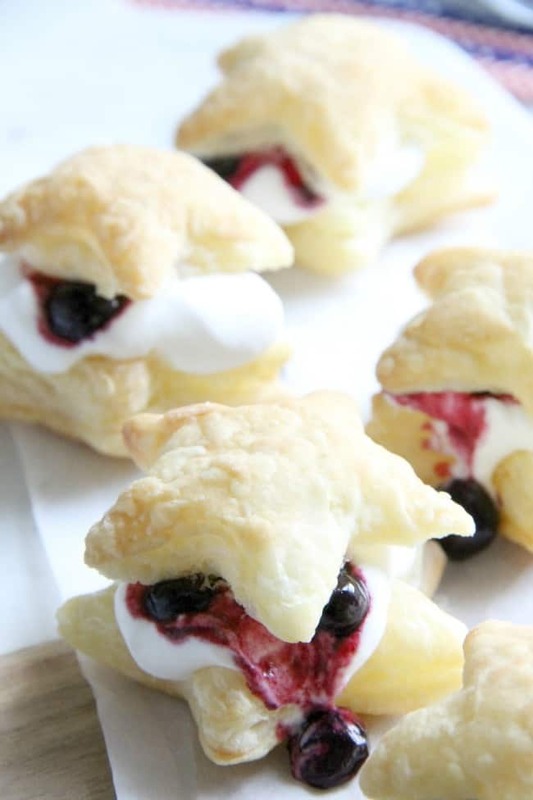 Blueberry Cream Puffs are an easy dessert for any summer barbecue you throw. 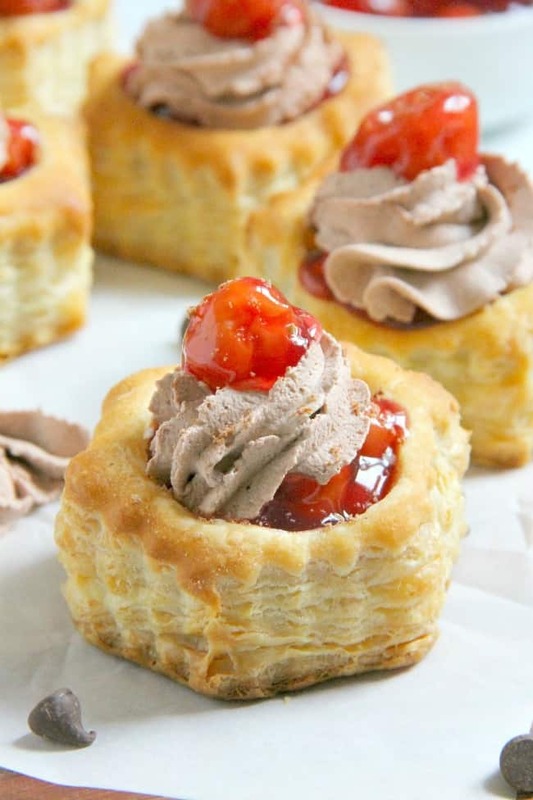 Summer might be almost over, but these sweet treats are good all year long. Baking seasonally is something I love to do because of all of the fresh fruit and produce I can buy, like blueberries! 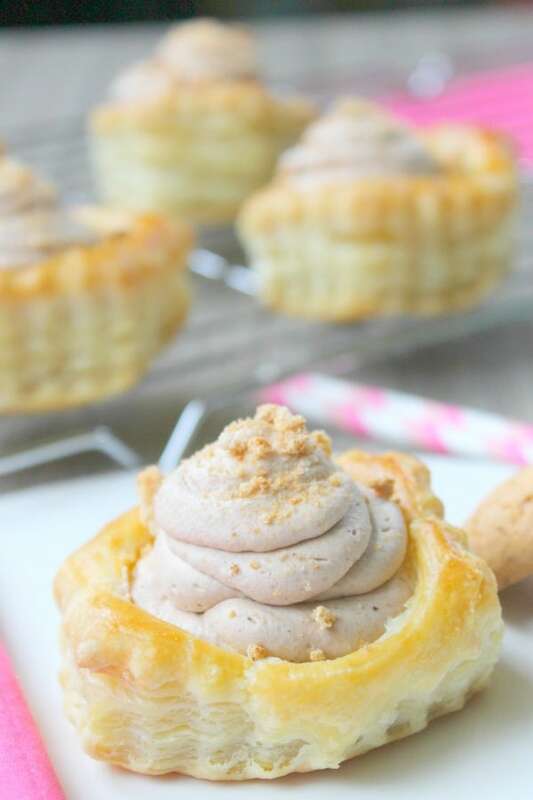 Add the flavors of amaretti and chocolate together in these elegant Chocolate Amaretti Mousse Cups! 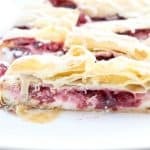 Whether you use fresh cherries or canned these Cherry Pie Cinnamon Sticks are quick to make with just a few ingredients! Perfect for any occasion! 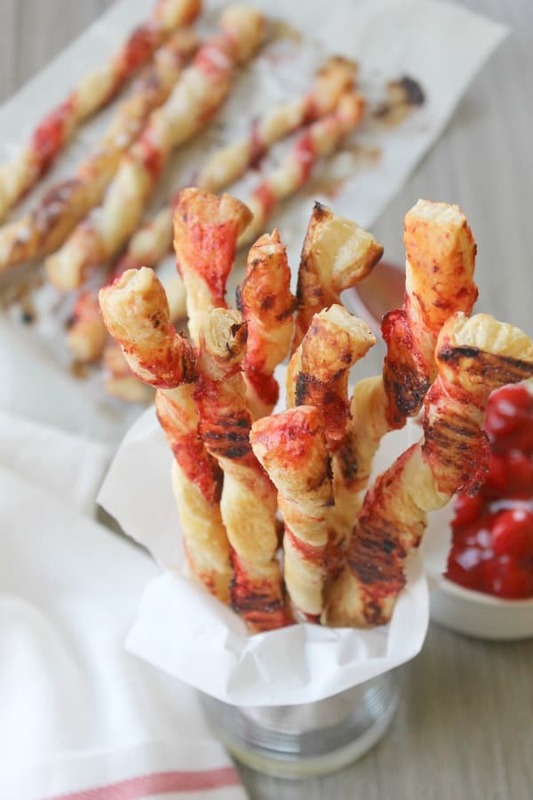 Take a fun childhood treat and turn it into breakfast or dessert! 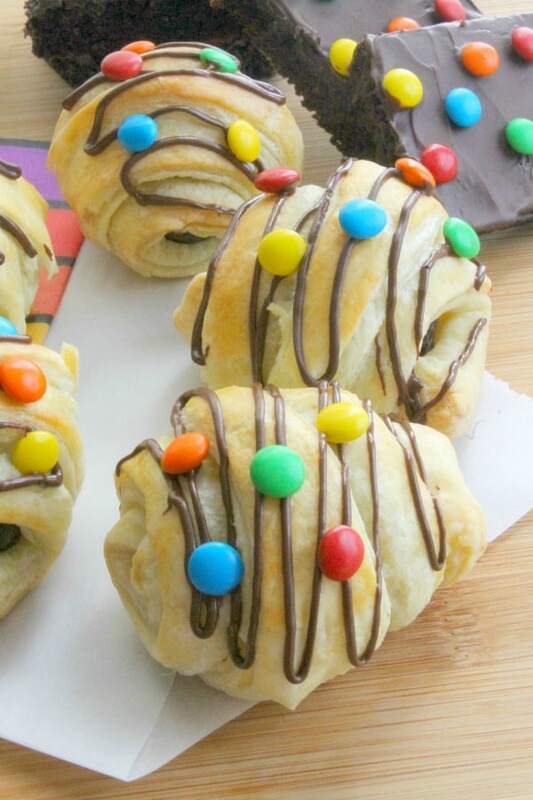 These Cosmic Brownie Croissants will bring back all of the memories!